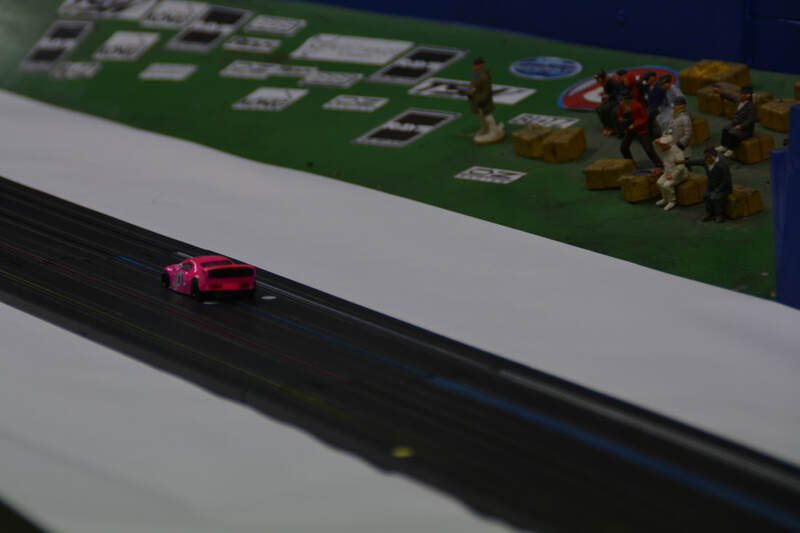 You can find more pictures of the event in our Facebook photo album CLICKING HERE. 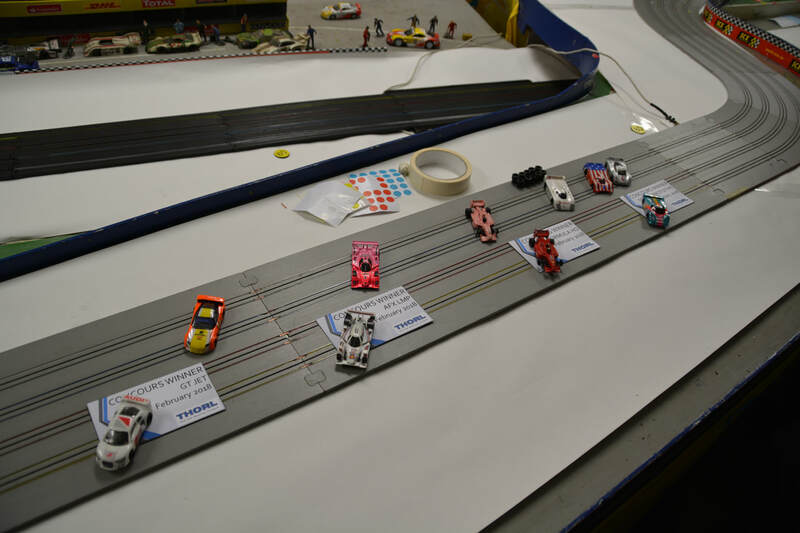 Twas a very chilly February Morning, in which 11 racers descended on the NLSME North London Slot Car Club. ​As with the track earlier in the month at FLBT, the HO track was laid atop the BSCRA track, coming in at 96' long. 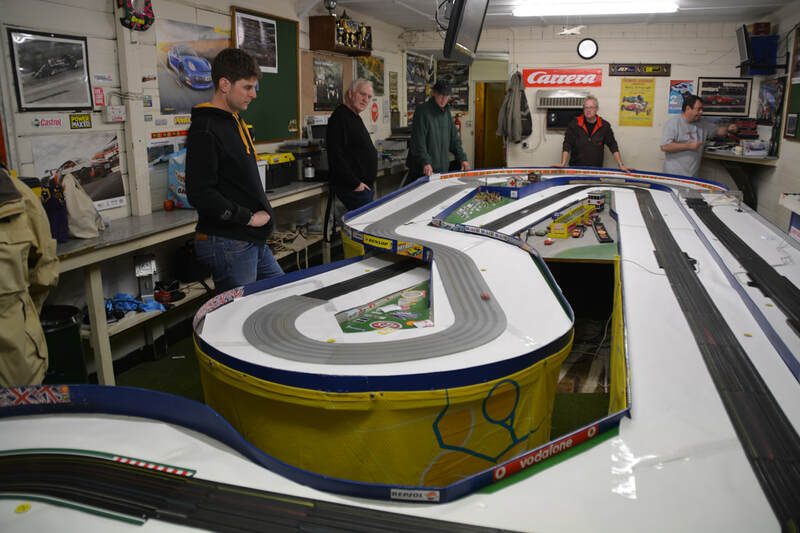 ​Many thanks to Clive and John Ovens in setting the track. 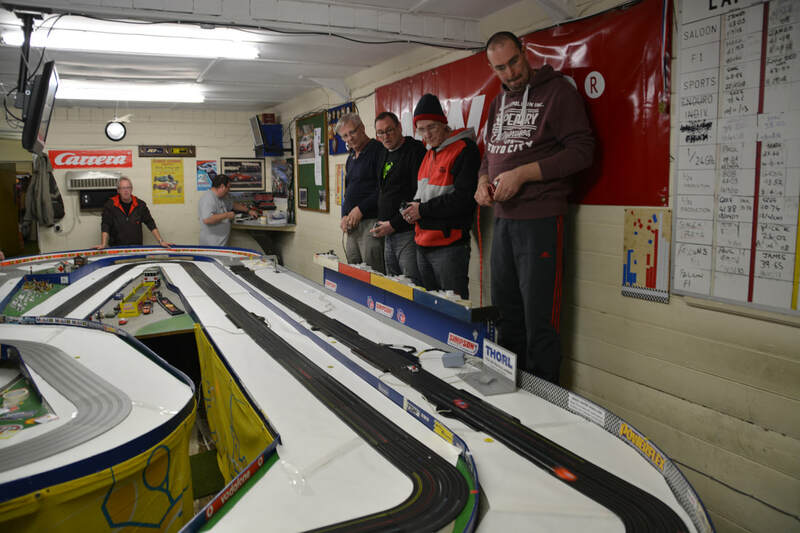 Many thanks to North London Slot Car Club for the use of their facilities. 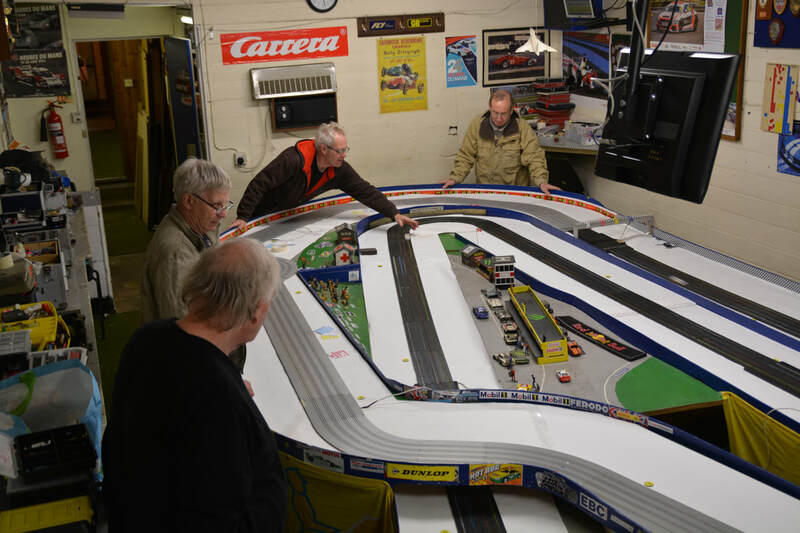 ​The next race travels to Pinewood Raceway in March. More information on the schedule and directions pages. 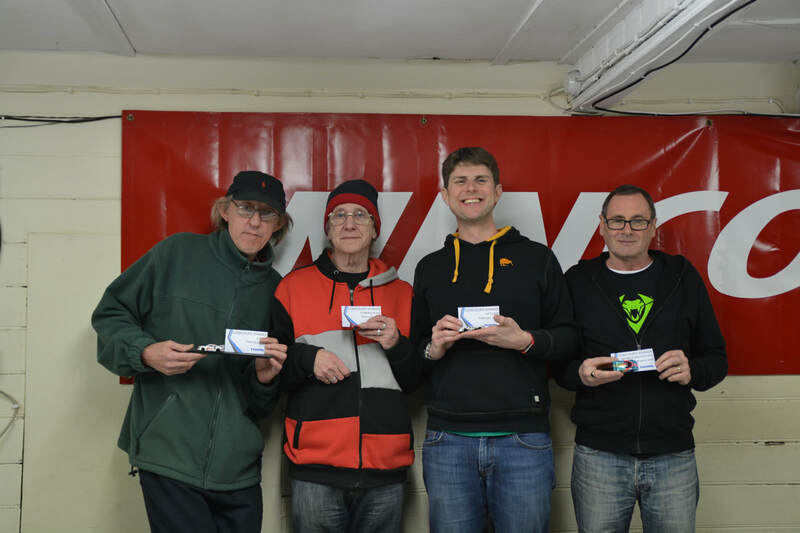 ​Concours Winners: Al Wood, Mike Ransley, Jim Saunders, Ray George. 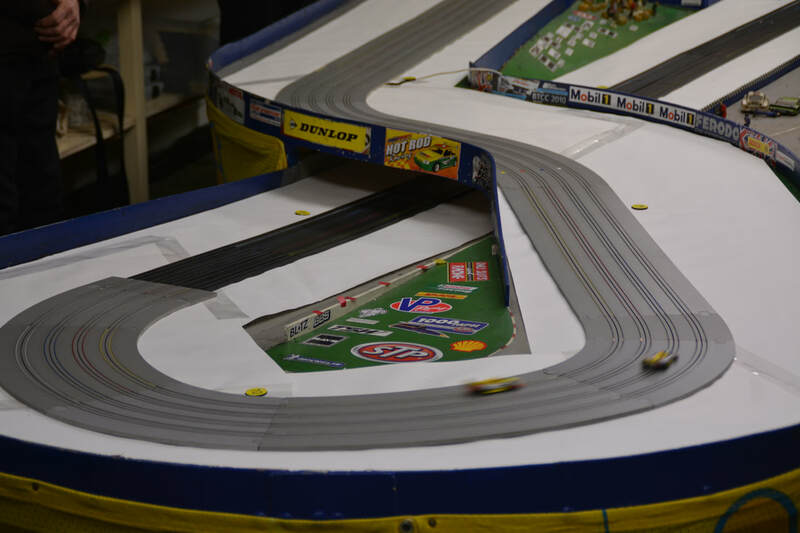 Formula HO race results. Click to get a bigger image. Excel Spreadsheet Below. 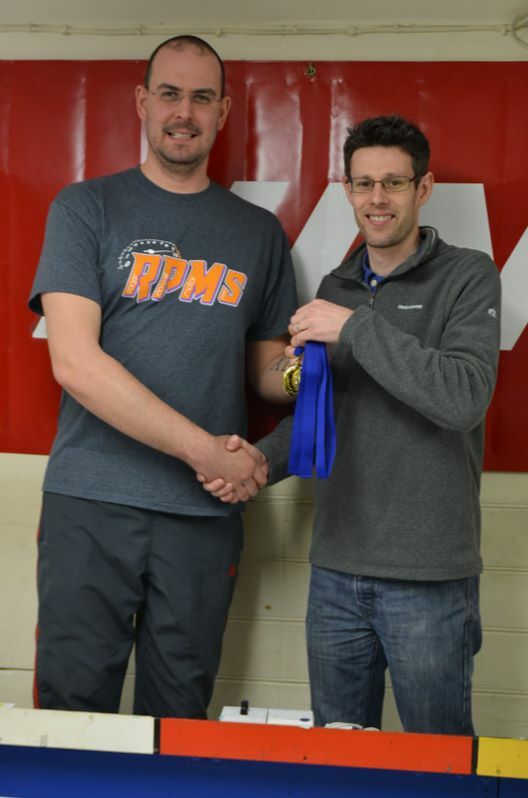 Sports Prototype Results. Click to get a bigger image. Excel Spreadsheet Below. Concours Winners - Jim, Mike, Al and Ray. GT Jet Results. Click to get a bigger image. Excel Spreadsheet Below.